Social Choice and Individual Values, (J. Wiley & Sons, 1951). An Extension of the Basic Theorems of Classical Welfare Economics, (University of Chicago, 1952). The Combination of Time Series and Cross-Section Data in Interindustry Flow Analysis, (The Rand Corporation, 1956). Aspects of the Theory of Risk-Bearing, (Yrjo Jahnssonin Saatio, 1965). Essays in the Theory of Risk-Bearing, (North-Holland Pub. Co., 1971). The Limits of Organization, (W. W. Norton, 1974). Behavior under Uncertainty and its Implications for Policy, (Institute for Mathematical Studies in the Social Sciences, Stanford University, 1983). Social Choice and Justice, (Harvard University Press, 1983). General Equilibrium, (Harvard University Press, 1983). Individual Choice under Certainty and Uncertainty, (Harvard University Press, 1984). The Economics of Information, (Harvard University Press, 1984). Applied Economics, (Harvard University Press, 1985). Production and Capital, (Harvard University Press, 1985). Elements of the Economics of Information; Information and Increasing Returns, (Institute of Economics, Academia Sinica, 1996). A Time Series Analysis of Interindustry Demands, with Marvin Hoffenberg, Harry Markowitz and Ronald Shephard, (North-Holland Pub. Co., 1959). Public Investment, the Rate of Return, and Optimal Fiscal Policy, with Mordecai Kurz, (Johns Hopkins Press, 1970). General Competitive Analysis, with Frank H. Hahn, (North-Holland, 1971). Social Choice and Multicriterion Decision-Making, with Herve Raynaud, (MIT Press, 1986). Benefit-Cost Analysis in Environmental, Health, and Safety Regulation: A Statement of Principles, with , (American Enterprise Institute for Public Policy Research, 1996). Selected Readings in Economic Theory from Econometrica, (MIT Press, 1971). The Balance between Industry and Agriculture in Economic Development, vol. 1: Basic Issues, (Macmillan, 1988). Markets and Welfare, (Macmillan, 1991). Studies in Linear and Non-Linear Programming, with Hurwicz and Hirofumi Uzawa, (Stanford University Press, 1958). Mathematical Methods in the Social Sciences, 1959: Proceedings of the First Stanford Symposium, co-edited with Samuel Karlin and Patrick Suppes, (Stanford University Press, 1960). Studies in Applied Probability and Management Science, co-edited with Samuel Karlin and Herbert Scarf, (Stanford University Press, 1962). Studies in the Mathematical Theory of Inventory and Production,co-edited with Samuel Karlin and Herbert Scarf, (Stanford University Press, 1963). Studies in Resource Allocation Processes, co-edited with Leonid Hurwicz, (Cambridge University Press, 1977). Applied Research for Social Policy: the United States and the Federal Republic of Germany Compared, co-edited with Clark C. Abt and Stephen J. Fitzsimmons, (Abt Books, 1979). Handbook of Mathematical Economics, co-edited with Michael D. Intriligator, (North-Holland, 1981). Frontiers of Economics, co-edited with Seppo Honkapohja, (Blackwell, 1985). The Economics of Public Debt: Proceedings of a Conference held by the International Economic Association at Stanford, California, co-edited with Michael J. Boskin, (Macmillan, 1988). The Economy as an Evolving Complex System: the Proceedings of the Evolutionary Paths of the Global Economy Workshop, held September, 1987 in Santa Fe, New Mexico, co-edited with Philip W. Anderson and David Pines, (Addison-Wesley, 1988). Barriers to Conflict Resolution, (W. W. Norton, 1995). Education in a Research University, co-edited with , (Stanford University Press, 1996). Increasing Returns and Economic Analysis, co-edited with Yew-Kwang Ng and Xiaokai Yang, (Macmillan, 1998). Meritocracy and Economic Inequality, co-edited with Samuel Bowles and Steven Durlauf, (Princeton University Press, 2000). Landmark Papers in General Equilibrium Theory, Social Choice and Welfare, co-edited with Gerard Debreu, (Edward Elgar, 2001). Handbook of Social Choice and Welfare, co-edited with Amartya K. Sen and Kotaro Suzumura, (North-Holland, 2002). Saving Lives, Buying Time: Economics of Malaria Drugs in an Age of Resistance, co-edited with Claire B. Panosian and Hellen Gelband, (National Academies Press, 2004). Arrow, Kenneth J. (1951a). “Alternative approaches to the theory of choice in risk-taking situations”. Econometrica (The Econometric Society via JSTOR) 19 (4): 404–437. doi:10.2307/1907465. JSTOR 1907465. https://doi.org/10.2307/1907465. Arrow, Kenneth J.; Harris, Theodore; Marschak, Jacob (July 1951). “Optimal inventory policy”. Econometrica (The Econometric Society via JSTOR) 19 (3): 250–272. doi:10.2307/1906813. JSTOR 1906813. https://doi.org/10.2307/1906813. Arrow, Kenneth J.; Debreu, Gérard (July 1954). “Existence of an equilibrium for a competitive economy”. Econometrica (The Econometric Society via JSTOR) 22 (3): 265–290. doi:10.2307/1907353. JSTOR 1907353. https://doi.org/10.2307/1907353. Arrow, Kenneth J. (February 1959a). “Functions of a theory of behaviour under uncertainty”. Metroeconomica (Wiley) 11 (1–2): 12–20. doi:10.1111/j.1467-999X.1959.tb00258.x. https://doi.org/10.1111/j.1467-999X.1959.tb00258.x. Arrow, Kenneth J. (1959b), “Toward a theory of price adjustment”, The allocation of economic resources: essays in honor of Bernard Francis Haley, Stanford, California: Stanford University Press, OCLC 490147128. Arrow, Kenneth J. (1960), “Price-quantity adjustments in multiple markets with rising demands”, Mathematical models in the social sciences, 1959: Proceedings of the first Stanford symposium, Stanford mathematical studies in the social sciences, IV, Stanford, California: Stanford University Press, pp. 3–15, ISBN 9780804700214. Arrow, Kenneth J. (June 1962). “The economic implications of learning by doing”. The Review of Economic Studies (Oxford Journals) 29 (3): 155–173. doi:10.2307/2295952. https://doi.org/10.2307/2295952. Also available through: JSTOR 2295952. Arrow, Kenneth J. (December 1963). “Uncertainty and the welfare economics of medical care”. American Economic Review (American Economic Association via JSTOR) 53 (5): 941–973. JSTOR 1812044. http://www.jstor.org/stable/1812044. Pdf version. Arrow, Kenneth J. (1968), “Economic equilibrium”, International encyclopedia of the social sciences (vol. 4), London and New York: Macmillan and the Free Press, pp. 376–388, OCLC 310091393. Arrow, Kenneth J. (1969), “The organization of economic activity: issues pertinent to the choice of market versus non-market allocations”, The analysis and evaluation of public expenditures: the PPB system; a compendium of papers submitted to the Subcommittee on Economy in Government of the Joint Economic Committee, Congress of the United States, 1, Washington, D.C.: Government Printing Office, pp. 47–64, OCLC 26897. Reprinted as: Arrow, Kenneth J. 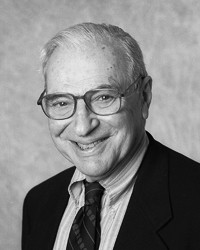 (1983b), “The organization of economic activity: issues pertinent to the choice of market versus non-market allocations”, Collected papers of Kenneth J. Arrow, volume 2: general equilibrium, Cambridge, Massachusetts: Belknap Press, pp. 133–155, ISBN 9780674137615. Also reprinted as a pdf. Arrow, Kenneth J.; Hurwicz, Leonid (1972), “Decision making under ignorance”, Uncertainty and expectations in economics: essays in honour of G.L.S. Shackle, Oxford / New York: Basil Blackwell / Augustus M. Kelley, ISBN 9780631141709. Arrow, Kenneth J. (February 1977). “Extended sympathy and the possibility of social choice”. American Economic Review, special issue: Papers and Proceedings of the Eighty-ninth Annual Meeting of the American Economic Association (American Economic Association via JSTOR) 67 (1): 219–225. JSTOR 1815907. http://www.jstor.org/stable/1815907. Reprinted as: Arrow, Kenneth J. (1983a), “Extended sympathy and the possibility of social choice”, Collected papers of Kenneth J. Arrow, volume 1: social Choice and justice, Cambridge, Massachusetts: Belknap Press, ISBN 9780674137608. Arrow, Kenneth J. (1987), “Rationality of self and others in an economic system”, Rational choice: the contrast between economics and psychology, Chicago: The University of Chicago Press, pp. 201–216, ISBN 9780226348575. Arrow, Kenneth J. (May 1994). “Methodological individualism and social knowledge (Richard T. Ely Lecture)”. American Economic Review, special issue: Papers and Proceedings of the Hundred and Sixth Annual Meeting of the American Economic Association (American Economic Association via JSTOR) 84 (2): 1–9. JSTOR 2117792. http://www.jstor.org/stable/2117792. Pdf. “Arrow's theorem”, The new Palgrave dictionary of economics (8 volume set) (2nd ed. ), Basingstoke, Hampshire New York: Palgrave Macmillan, (2008), ISBN 9780333786765. Also available online as: Arrow, Kenneth J. (2008). “Arrow's theorem”. The new Palgrave dictionary of economics online, (2nd ed.) (Palgrave Macmillan). doi:10.1057/9780230226203.0061. https://doi.org/10.1057/9780230226203.0061. “Hotelling, Harold (1895–1973)”, The new Palgrave dictionary of economics (8 volume set) (2nd ed. ), Basingstoke, Hampshire New York: Palgrave Macmillan, (2008), ISBN 9780333786765. Also available online as: Arrow, Kenneth J. (2008). “Hotelling, Harold (1895–1973)”. The new Palgrave dictionary of economics online, (2nd ed.) (Palgrave Macmillan). doi:10.1057/9780230226203.0747. https://doi.org/10.1057/9780230226203.0747. Arrow, Kenneth J. (June 2009). “Some developments in economic theory since 1940: an eyewitness account”. Annual Review of Economics (Wiley) 1: 1–16. doi:10.1146/annurev.economics.050708.143405. https://doi.org/10.1146/annurev.economics.050708.143405.